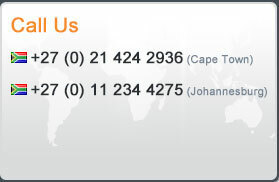 Do you have a need to transfer money either in or out of South Africa? Whether your money transfer is for buying property, investment, emigration, gifts or living expenses we are able to offer a complete turnkey solution at market leading rates for currency transfers in and out and out of South Africa. Incompass has been passionate about helping individuals and businesses with their international financial needs since 2003. The world of money transfers can seem confusing – base rates, spreads, margins, service fees, spot are all common terminology but mean little to some of our clients. Bottom line is clients simply want to know what the charges are and that they are getting the best money transfer rate they can. Incompass is passionate about security, that’s we are the only money transfer company that can provide our clients with the reassurance of being accredited with ISO 27001. When it comes to service, expect VIP treatment. We don’t just say our service is great we expose it to an annual audit to prove it is and can boast of ISO 9001 accreditation. We constantly strive to find new ways to provide our clients with a money transfer service that suits there needs and delivers a solution and rates that are always market leading. It is this innovation and standards that have seen us become the trusted money transfer company to thousands of individuals, businesses and one of the largest suppliers of money transfer solutions to Independent Financial Adviser’s and investment houses. What our Clients can expect from our Money Transfer services. NO administration fees on your currency transfers. The VERY BEST foreign exchange rates. ALL tax clearance and Reserve Bank clearances that are required for transferring money. EXPERT advice and guidance for all foreign exchange and currency transfers. SAFE AND SECURE currency trading. FULLY SARS and Reserve Bank compliant money transfer process and procedures. CORRECT declaration of funds transferred into South Africa. To experience better rates, save money and experience a first class service contact Incompass Forex today for all your money transfer, currency exchange and foreign exchange services and advice. To find out more about how we can help you with the transfer of your one million allowance call us on any of the numbers below or send us an e-mail.